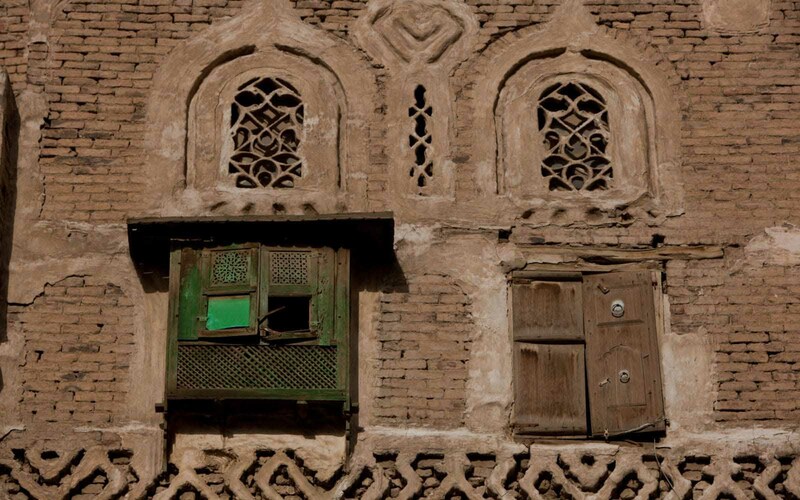 The land that has long been known as Yemen has a rich history and culture that date back thousands of years. The modern state is fairly recent, though, having been created only in 1990 when the communist South (formerly controlled by the British Empire and then supported by the USSR) and the Yemen Arab Republic in the North were united by President Ali Abdullah Saleh. Fighting between the North and South has broken out on numerous occasions, with tribal violence and political dissent leading to interventions by outside powers, such as Saudi Arabia, Iran, and Egypt. Since 2015, Yemen has been embroiled in a civil war that has once again divided the country into two states and created the greatest humanitarian crisis in the world today. Vision Hope has long been engaged in humanitarian and development projects in Yemen, and its efforts there have increased since the beginning of the war. 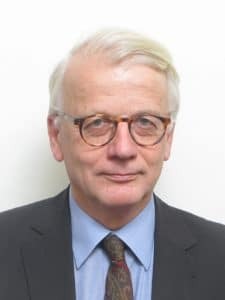 In March 2018, the Vision Hope communications team had the opportunity to conduct a written interview with the German ambassador to Yemen, Hansjörg Haber, about the political conflict and current humanitarian crisis, as well as what Germany is doing to alleviate the human suffering of the Yemeni people. Below, you can read his responses to our interview questions. Vision Hope: With the assassination of ex-President Saleh – an individual who was a well-established and respected power-broker in Yemen – how do you see peace negotiations proceeding? What challenges will Yemen face in his absence? Hansjörg Haber: Ali Abdullah Saleh was the successful spoiler of the peace initiative of the Gulf Cooperation Council. Had he disappeared from the scene earlier, maybe ending the conflict would have been easier. But now, the conflict has outlived him and his heritage. I think Yemen will still face the same challenges as before his death, the most urgent of which is to end this war. So, in retrospect, one might conclude he did not really matter as much as many thought he did. 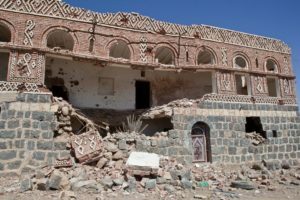 VHI: What is Germany doing to mitigate man-made crises in Yemen? How can German-funded humanitarian projects reduce the likelihood of mass starvation given Saudi Arabia’s targeting of humanitarian aid implementers (e.g., bombing of cranes and a World Food Programme warehouse, as well as the blocking of 3.9 million USD worth of replacement cranes from entering the Port of Hodeideh)? Haber: Germany is one of the biggest donors for humanitarian aid for Yemen, but also recognizes – and acts accordingly – that humanitarian assistance must be complemented by development cooperation – even in the midst of conflict. For all of this, access is crucial, and Germany continues to lobby, with Yemeni authorities as well as with the Saudi coalition, for safe access to those most vulnerable and most afflicted by the war. VHI: In many ways, the current war in Yemen is essentially a proxy war between the Saudi coalition (Sunni) and groups allied with Iran (Shi’a), which is even further complicated by tribalism within Yemen. What measures and safeguards are needed to foster reconciliation, and how can NGOs ensure that the basic needs of civilians trapped in the conflict are met without risking exploitation by warring parties? Haber: The war in Yemen shows characteristics both of a traditional civil war and of a proxy war. It is the task of the international community to untie this nexus at the diplomatic level. On the ground, we need to rely on something I would call “NGO diplomacy” to work its way around the fall-out of the different cycles of conflicts. VHI: In 2016, the German Foreign Ministry began a workgroup to address the topic of the peacebuilding capacity of religions and strategize on building strategic partnerships with religious leaders and organizations. How has German foreign policy made use of this strategy to address the conflict in Yemen? Haber: This is still work in progress. We are looking for ways to make this work applicable to Yemen, but we have not yet found them for various reasons, one of which again is access. And we need to understand more about the interaction between confessions and conflict. We tend to see it through the lens of our own historical experience and therefore are maybe too optimistic about the potential of this approach. But it remains necessary and we will certainly pursue it. VHI: At the beginning of 2018, the German government announced a ban on the sale of arms to countries involved in the Yemen war, including Saudi Arabia. 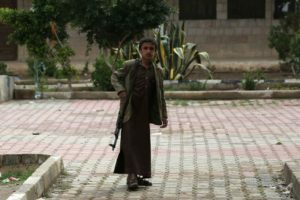 What other mechanisms does the German government have to leverage its influence and achieve a breakthrough in resolving the Yemeni conflict? Haber: Obviously not enough, if you look at the situation on the ground. But I think – and Yemeni interlocutors regularly confirm – that Germany enjoys a lot of soft power in Yemen because we were never an interested party and are consistent in offering assistance to Yemen. What we now need to do is to find ways to use this soft power to support the UN-led process for conflict resolution. VHI: Johan Galtung’s approach to peacebuilding is a triangle consisting of the aspects peacekeeping (suspension of violent behavior); peacemaking (addressing political and strategic attitudes); and peacebuilding (peaceful social change through reconstruction and development). How does the German government support each of those elements in order to promote sustainable peace? Which of these elements is most challenging to support in Yemen? Haber: I think peacekeeping is the most challenging one. Ultimately, Yemenis will have to do this themselves. But on the other hand, traditionally they have been quite good at it. As to peacemaking, we support the UN-led process but also have our own contacts within the parties to the conflict. And on peacebuilding, we still have a large GIZ presence, with over 140 staff as well as many German NGOs working on the ground. Their experience and contacts are valuable assets and will be even more so once we have a holistic international approach to peacebuilding in Yemen. VHI: Gender plays an important role in Yemeni culture. Women are often considered the weaker gender, and men are obligated to protect them. Women are also generally excluded in decision-making processes. However, women – especially in conflict and post-conflict contexts – play a critical role in achieving sustainable peace, especially at the local level. How is the German government empowering Yemeni women to reduce violence and promote peace? Haber: UN Women is doing valuable work on this, and Germany supports this work. Having said this, this question is one of the most difficult to answer. Remember, the national dialogue dealt a lot with the empowerment of women, and what was the result? Can we empower women, or do they have to empower themselves, as it happened in Western societies? I cannot really give you an answer. VHI: Widespread food insecurity and a fragmented health system constitute immense challenges for humanitarian actors in Yemen, as does the lack of adequate information management and data surveillance systems. Oftentimes, especially concerning health issues, numbers are overstated to attract additional support. Furthermore, the government has particular requirements before data collection is approved, and in some cases, humanitarian staff have been arrested for collecting data. In light of those issues, how is the reliability of data ensured so as to evaluate the success of German projects in Yemen? Haber: I think the objective of reliable data will continue to elude us until we have peace and a functioning state in Yemen again. We will have to make do with what we have. Sometimes data is very good, like data from the Social Fund for Development. We just will not have data carved into stone. Data collection is a work in progress, and we must intelligently interpret what we have. VHI: Yemen ranks among the top countries in the world in terms of per-capita gun ownership, with approximately 55 guns per 100 residents. It also has the highest rate of mass shootings among countries with more than 10 million people, and drive-by shootings are especially problematic. How is Germany addressing this issue? Are any negotiations planned to encourage Yemen to ratify the 2014 Arms Trade Treaty (ATT)? In a post-conflict future, what role, if any, will the German government take in arms-reduction initiatives or security-sector reform to reduce the likelihood conflict recidivism? Haber: Yemen used to have tribal conflicts with very few victims and a high readiness to accept mediation in early stages of the respective conflict, in spite of a very high per-capita gun ownership. What I want to say is that Yemen needs to and can tackle this problem, once the conflict is resolved. But it will not work the other way around: Ratifying the ATT and attempting to restrict gun ownership will not in itself solve the conflict. VHI: The proxy war and local conflicts are currently at a standstill due to most major parties’ refusal to join negotiations. What steps are needed to create a willingness to negotiate among the conflict parties? Is there willingness to achieve local truces among smaller parties? If so, is this willingness utilized to negotiate small-scale cessations of hostilities? How does the asymmetrical nature of the conflict affect these small-scale initiatives? Haber: This is now the challenge before the Special Envoy of the Secretary General of the United Nations, Martin Griffiths, and we will do whatever we can to support him in it instead of inventing the wheel for ourselves. But, for example, there is already a working group under the auspices of the United Nations dealing with the challenges of disarmament, demobilization, and reintegration (DDR), including at the local level. And there is a German pilot project on local administration which of course is charged with the maintenance of law and order at the local level. VHI: Two million children are currently out of school and almost three-quarters of public school teachers have not received salaries in over a year, putting the education of an additional 4.5 million children at grave risk. 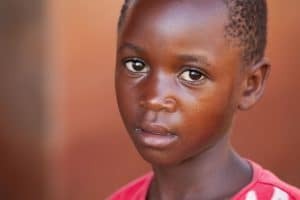 The potential for a “lost generation” results in a multitude of problems, such as early marriage, child labor, and recruitment of child soldiers. It also poses a great threat to the country’s long-term development. How can continuous education be ensured, and which measures have been taken so far? Haber: This is a very important point, because a generation gone uneducated will be easy prey for warlords and other spoilers of the peace process. One very important factor in this (and I hasten to underline that there are many others equally worthy of attention) is the payment of salaries in the public sector, and in particular of teachers. And this is closely related to the problems of the Central Bank, on the resolution of which the international community is now working intensely. Vision Hope wishes to thank Ambassador Haber for taking the time to answer questions about the conflict in Yemen and the international response. He echoes the belief of Vision Hope in saying that historically, the Yemeni people have been very good at resolving conflicts. Once there is a resolution for the proxy war, Yemenis are likely to pursue their own peace, with continued assistance from international organizations and institutions. In conjunction with conflict resolution, important steps to take in the peacebuilding process include funding education, improving food security, and promoting gender justice. Vision Hope continues to partner with institutions like the German government to advocate in these areas and work with local Yemeni organizations to gain access to locations that are in the most need. When the Yemeni state is once again functioning, additional partnerships with Yemen’s government will be utilized in order to implement advocacy and development projects that promote an ongoing capacity for peace and justice.